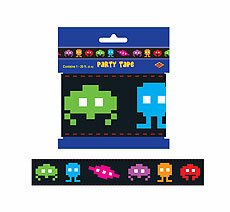 Totally 80's party supplies and awesome party decorations. 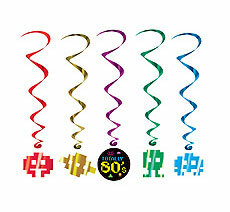 Let the Party Girl help you find hundreds of unique totally 80's party supplies. 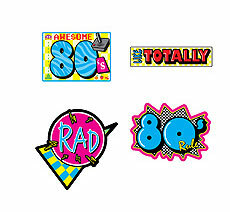 Your 80's theme party will be awesome! 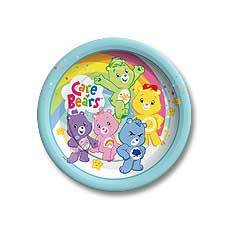 Retro paper plates for your 80s Theme Party! 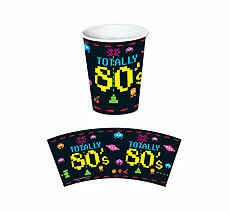 Totally 80s Paper cups for your 80s Theme Party! 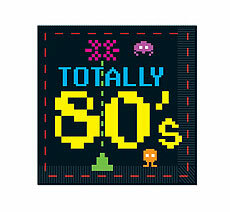 Don't forget these 80s Theme Party napkins! 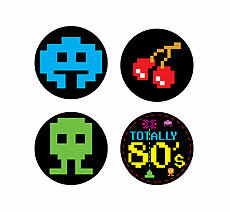 Perfect 80s Theme Party accents! Great 80s Theme Party decoration! 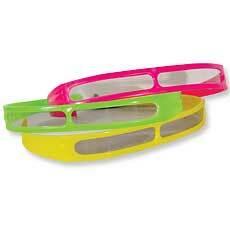 Ceiling danglers, great for an 80s Theme Party! 80s Theme drink coasters make great accents! 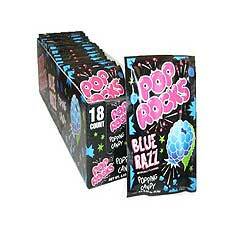 The perfect table decoration for an 80's theme party! Remember Pacman, the first computer, fax machines, cassette tabes, boom boxes then you will remember the 80's. 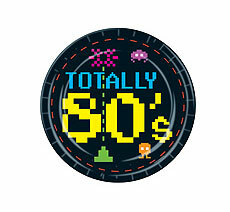 The 80's decade was totally awesome. 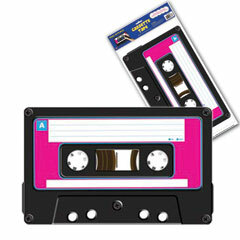 Our Totally 80's peel and place cassette tape can easily stick to windows or walls. 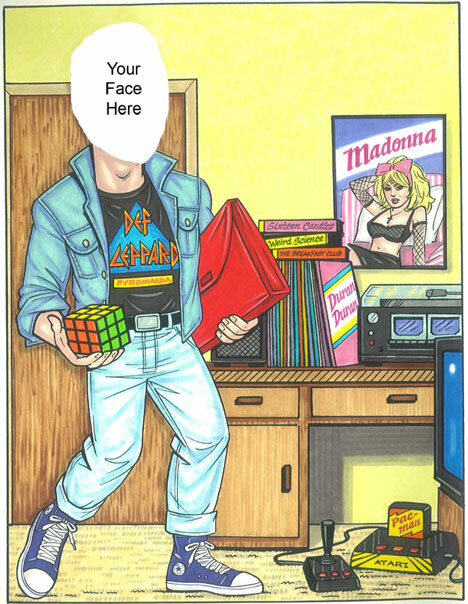 Each Cassette Tape peel and place cling is 12" wide by 24" and sold by the piece. Please order in increments of 1 piece. Hustle back in time when disco ruled the dancefloor. Light the dancefloor with the Disco Dance Party CD. 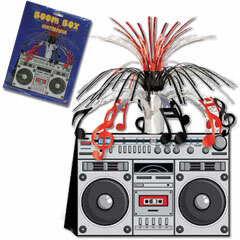 Our disco party music CD includes many all time favorites performed by Drew's Hit Crew. Song list includes: "I Will Survive", "Stayin' Alive", "It's Raining Men", "Turn the Beat Around", "Le Freak" and from the floor of Studio 54, "Burn Baby Burn", "Shake, Shake, Shake", "Do the Boogie" and more. Our Disco Pary CD is sold by the piece. Please order in increments of 1 piece. Please Note: CD's and DVD's are not returnable for either credit or refund. Any returns for defects will be replaced with the exact same item. 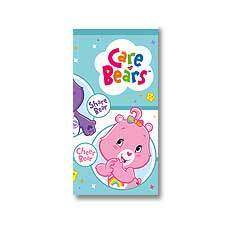 Our colorful 8'' friendship bracelets are packed assorted colors and 144 per pack. 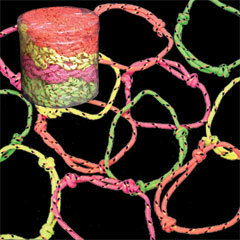 Adjustable the friendship bracelets are packed in a poly bag of 1 Gross (144 pieces) in assorted colors. Please order in increments of 1 Gross. 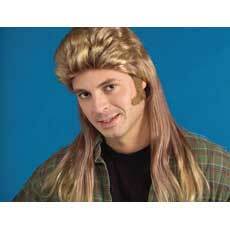 Who doesn't love the mullet! 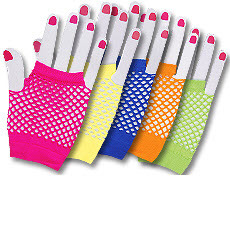 Great for an 80s Theme Party. 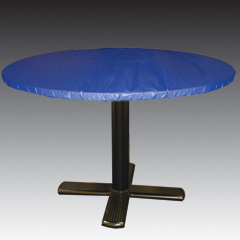 Our stay put royal blue plastic 60" round table cover has elastic around the edge to help it stay on your table. 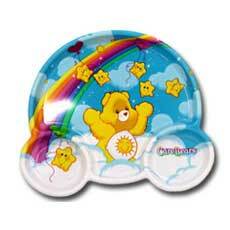 Perfect for picnics and outdoor events when you want your table cover to stay put. Each roybl blue 60" round table cover is sold by the piece. Please order in increments of 1 piece.